In 2008, while western governments were claiming for a more sustainable and regulated financial system, their counterparts in the Middle East were working towards a long-term global expansion plan for their ancient but efficient model of capital distribution: Islamic Finance. How is Islamic Finance doing better than capitalism? The answer lies in the sukuk-based financial model that prefers real economy over complex derivatives solutions. Sukuk refers to the most common Islamic form of debt, roughly comparable to a bond instrument that, however, does not provide a fixed interest rate of remuneration. In fact, the concept of interest rate is forbidden by the Shariah law (Riba principle), thus the capital raised through sukuk is remunerated with a floating rate based on the return of the underlying real asset. The adoption of Shariah-complaint financial instruments might represent a tremendous opportunity for western countries to attract foreign investments. 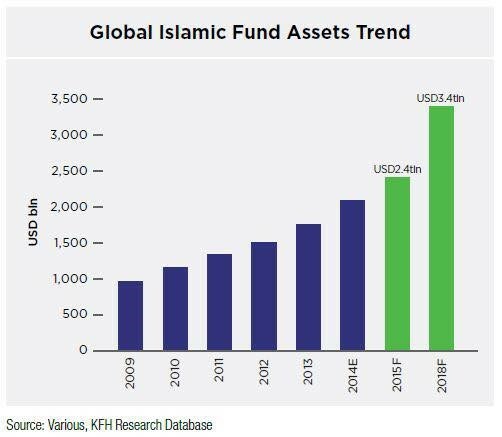 In fact, Sovereign Wealth Funds (SWFs), such as Kuwait Investment Authority ($548 Billion AUM 2014), despite their recent liquidity constraint due to bearish oil price (-43.4 % 1Y), still hold a key position in the global investment landscape and constantly seek for new shariah-compliant opportunities. The UK is at the forefront of this new phenomenon, becoming the first country outside the Islamic world to issue sovereign Sukuk (£200 million, 2.036%, 25 June 2014). Focusing our sight on recent project financing trends, major projects and infrastuctures including but not limited to Europe’s tallest building, The Shard ($435 million), have been financed issuing Islamic financial instruments. All in all, London has definitely the potential to become the 2020s global Islamic Finance hub and this might further strengthen the relationship between Europe and the Middle East, creating a more integrated EMEA Region. Join the ESCP Europe Finance Society!